The new Battersea Power Station owners, like all the previous “flippers”, has barely spent a penny on taking care of the Grade II* listed building, which is in such a perilous state it is now listed as an endangered world monument, while gushing out PR about “restoration“. What they have spent money on is clearing the site of any inconvenient obstacles to untrammeled profitable development – getting planning permission to demolish the listed Victorian Pump House, finding an excuse to remove and mothball the listed cranes, getting the gas holders a certificate of immunity from listing and removed. They also like to spend money on themselves and their target customers- the rich foreign investor. So while the building rots and the cranes rust away the owners have put in a planning permission application to erect a “temporary” but very expensive and intrusive marketing suite on the corner of the roof of annex B- a decision will be made in January 2014. Happily from this position prospective buyers will not able to see the adjacent Cringle Street waste transfer station. As we mentioned in a previous blog the Western Riverside Waste Authority’s second transfer station, Cringle Dock is situated next to Battersea Power Station and is capable handling over 5,000 tonnes of smelly refuse every week- all brought in by lorry. Find below the planning application to erect a temporary marketing suite. 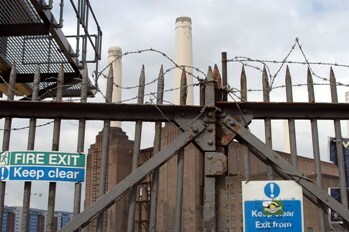 Battersea Power Station could be temporarily left with just one solitary chimney after developers applied to change conditions of work on the listed building. Last week the Battersea Power Station Development Company (BPSDC) applied for permission to change the sequence in which the listed building’s chimneys are rebuilt. 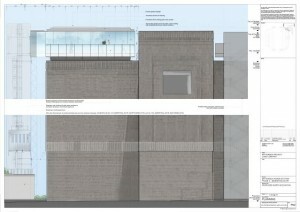 The new application, called a deed of variation, proposes a change to the original legal agreement, between Wandsworth Council and English Heritage, so that the first chimney could be rebuilt on its own. The remaining three would then be rebuilt at the same time. A safeguard will also be added to the legal agreement which will require the developer to provide a bond for the full value of the chimney works contract before the project can get under way. The council could use this bond to pay for the completion of the project if for any reason the developer failed to finish. No changes are being proposed to the design of the chimneys which would be constructed according to the original architecture plans so that they match the appearance of the originals. The development company estimates that changing the sequence of the chimney works would mean the power station restoration project could be completed two years earlier. In 2011 Wandsworth Council and English Heritage approved plans for each of the decayed chimneys to be rebuilt after successive engineering studies showed all four were beyond repair. Last month the Wandsworth Guardian reported campaigner’s fears the power station could permanently lose its famous chimneys once they were taken down. and a final decision on whether to approve the proposals will be made by the council’s planning applications committee. 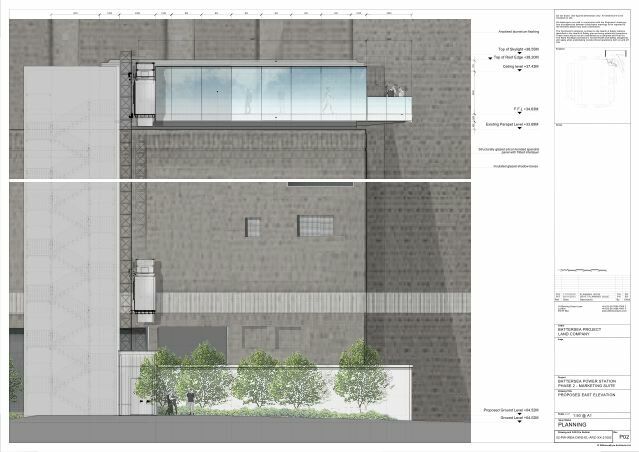 View the Wandsworth application and enter reference number 2013/3076. Wandsworth Against the Cuts has opened an online petititon to the Government to avoid the closure of Kimber Road and Battersea Park playgrounds. As York Gardens Playground has been recently flattened by builders they believe Kimber Road could be torn down as early as this Friday and Battersea soon after. Campaigners claim that the closure of the adventure playgrounds will deprive children and young teenagers of things to do on these areas. Visit Wandsworth Against the Cuts website for ways to try and prevent this happening. It seems that Malaysian owners Sime Darby´s plans for the regeneration of the Battersea Power Station does not include any playground areas among these 3.400 homes, 2 hotels and dozens of shops and restaurants. It would be a very good idea if part of (a publicly owned) Battersea Power Station were to be designated a huge public adventure playground for the joy of all the children of the area. But it is clear Wandsworth Council does not see providing for children as important as helping to enrich property developers by sanctioning the building of DINKy (Double Income No Kids- yet) Ghettos. Check this video out for more information about this story. Battersea Power Station is the focus of other people’s work as well as ours; one notable example of this is Kevin Murphy, director of the 2004 film ‘Battersea: Its Past, Its Future’. Kevin has been featured on IPINglobal discussing the history and potential future of Battersea Power Station. His personal connection to the building is something that resonates with many locals, as are his thoughts on the disrepair it has callously fallen into in the years since its decommission. 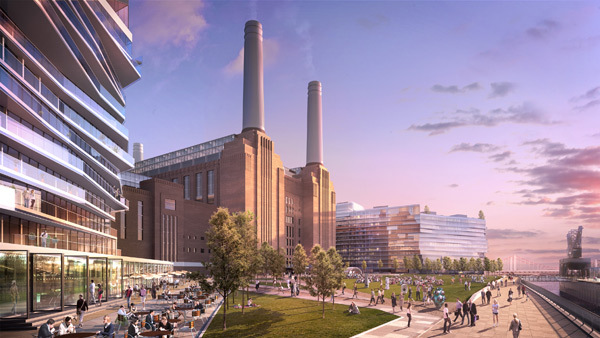 Keith Garner, local architect and member of the Battersea Power Station Community Group, has laid out a tyraid of questions to the chief executive of the Battersea Power Station Development Company, Rob Tincknell. In an article described as ‘sycophantic and uncritical’ by Garner, Tincknell answered a series of questions about his involvement with the new plans for the regeneration of Battersea Power Station. Why did Treasury Holdings not complete any substantive work in the five years they owned Battersea Power Station between 2006 and 2011, when you were in charge? Why is the river walk connecting to Battersea Park still not built when your colleagues at Treasury Holdings promised at a meeting in 2011 that this would be done? Why are you currently carrying out a “public consultation”, when it is clear that you have no intention of responding to any of the concerns raised? We can’t see the Architects Journal being so bold, but are keen to have these questions answered ourselves. If you have any questions you want answering, let us know and we’ll try to pose them to the companies behind Battersea. Brian Barnes has publicly said that he’s continually doubtful of the new plans set out by Sime Darby to regenerate Battersea Power Station. Barnes, the driving force behind the Battersea Power Station Community Group that he begun 29 years ago, has seen many plans come and go in his time and is sure the recent proposal from the Malaysian giant will be just another in a long list of failed plans. He has also criticised the plans for not having enough affordable housing, claiming that no-one from the local area will be able to afford to live there, especially young people looking to get onto the property ladder. Sime Darby have released their plans for their regeneration of Battersea Power Station. This Friday (14th) 10:00am-6:00pm and Saturday (15th) 10:00am-4:00pm will see an exhibition of these plans at the Consultation Suite, Battersea Power Station (Gate 2). 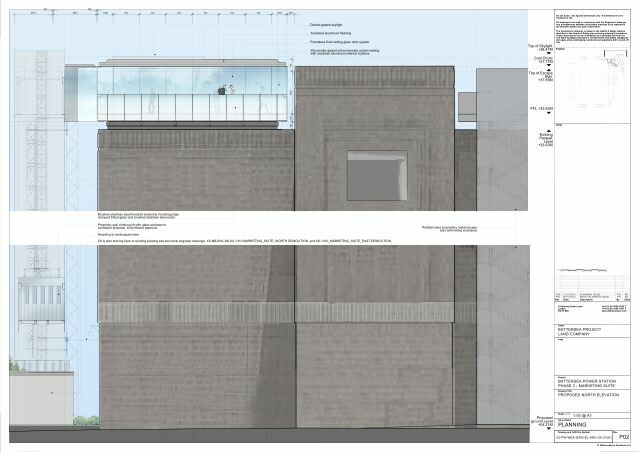 These plans have been reported to involve the demolition of the chimneys, and replicas being constructed as the degredation of the current structures is said to be too much to allow a conservation effort. Around 3,400 homes, including 500 classified as “affordable” will be built on the 29-acre site, as well as two hotels, 160,000 sq ft of offices and dozens of shops and restaurants in a new “high street”. This work is part of their 12-year development project, with a park and walkway projected for completion as early as next April. Visit www.batterseapowerstation.co.uk for more information. Email powerstation@batterseasociety.org.uk with your thoughts on the proposed plans. The Malaysian consortium, the new owners of Battersea Power Station, has announced in a press release that the regeneration of Battersea Power Station is estimated to cost £6-8bn. This news has spread across the media as the project is set to create 20,000 construction jobs as well as 13,000 permanent jobs. Also it is announced that the project will create 3,500 homes. On the surface this announcement sounds like a good deal, but how many of the homes will actually be ‘affordable’, the London plan requires 50%, and for how long will the 20,000 construction workers be employed? It is possible that some of these jobs will only last a few weeks. Local people have heard this all before.